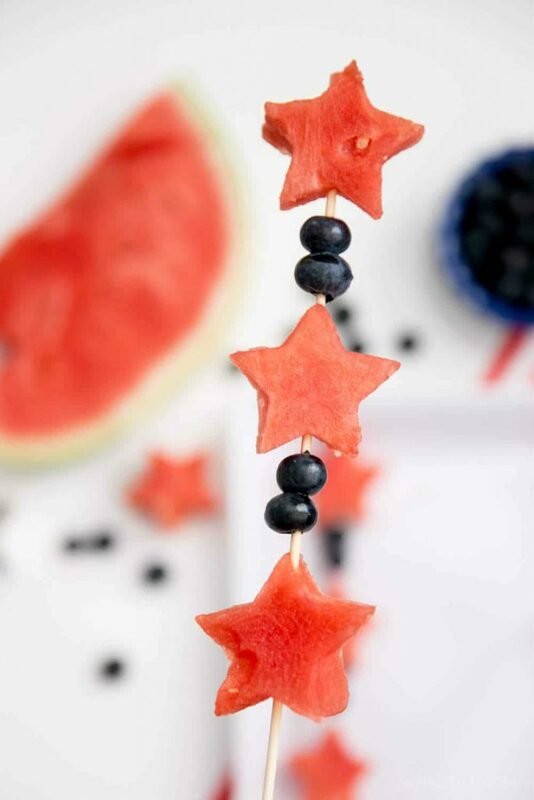 Star-Spangled Fruit Skewers for the 4th of July - So Festive! 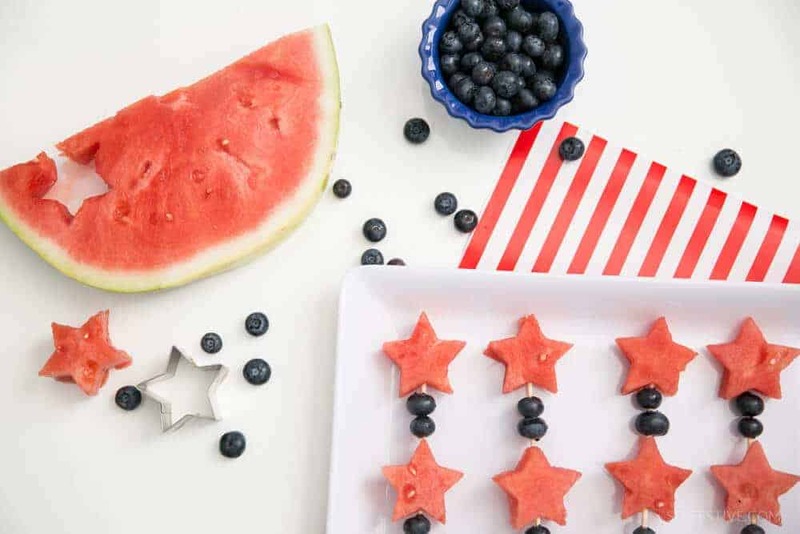 These simple Star-Spangled Fruit Skewers are a simple treat or snack for your Fourth of July festivities. Oh say can you see…. Let’s talk about the Star-Spangled Banner, I mean Skewers today! 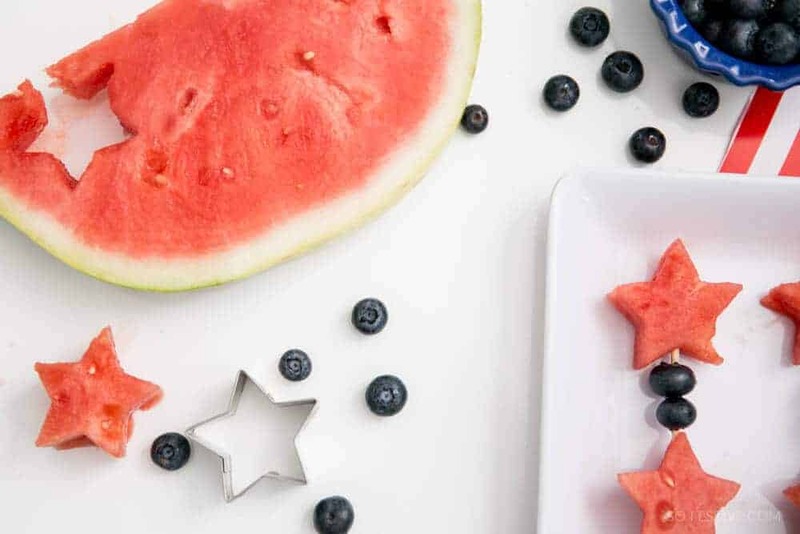 If you’re looking for a healthy, festive, simple treat for your 4th of July festivities, look no further! 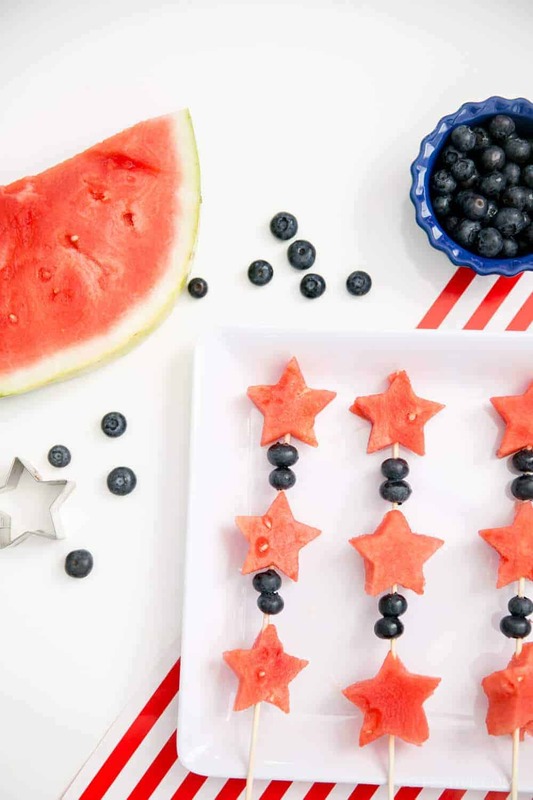 With just a few ingredients, you can whip a tray of these Star-Spangled Skewers out in no time! Let’s zoom in on all this festiveness on a stick. Can we get fireworks for this? 1. Slice the watermelon into 1″ slices. 2. 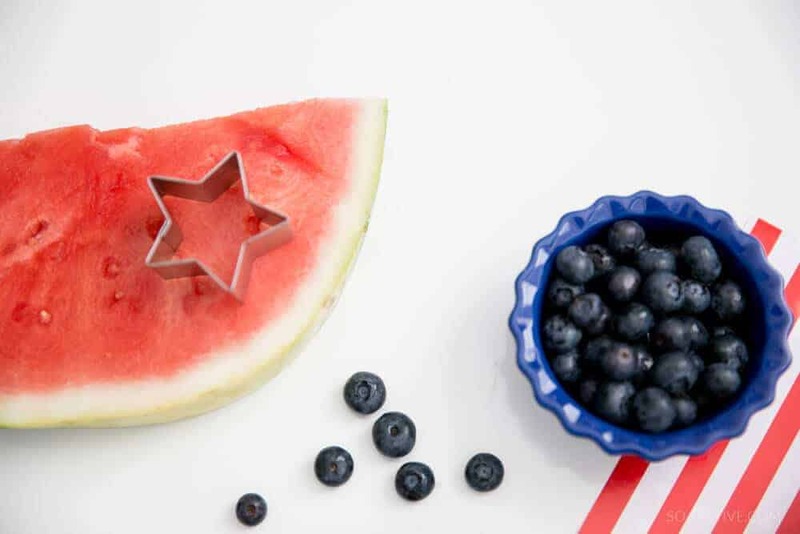 Use the star cookie cutter to cut watermelon into star shapes from the slices. Continue until you have plenty of stars. 3. Grab a skewer. Poke the skewer through the bottom of the star all the way through the top and slide down about 2/3 way down. Add 2 blueberries. Repeat. 4. Chill on a tray until you are ready to serve. The more chilled, the better! Show off your Fourth of July festivities! Post a photo on Instagram and tag @sofestive with #celebratesimpler. 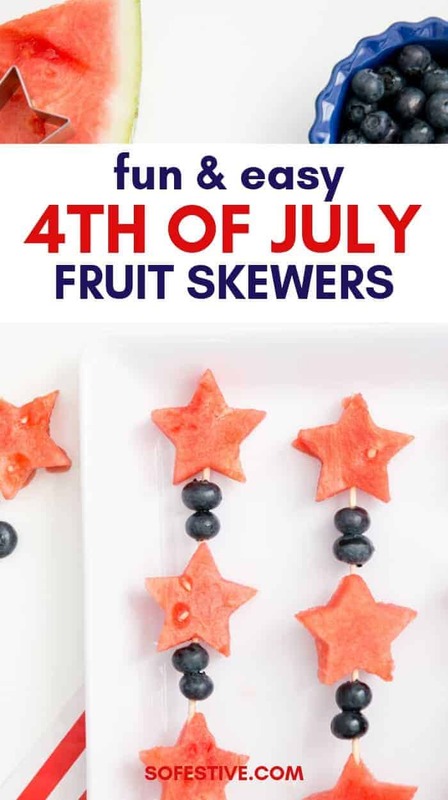 I can’t wait to see your Star-Spangled Skewers!